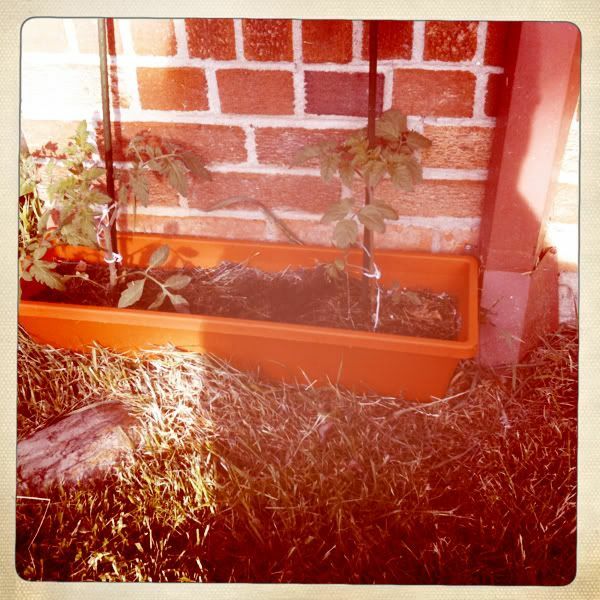 I planted two tomato plants this weekend - an urban farming experiment. Only $2 each! Not factoring in $20 of supplies, of course. "Each of those tomatoes will cost five dollars each," Joe said. Ever the economist. I am not sure if the trough I put them in will be too shallow for the roots. What do you think? They are doing well for now. Thriving, I dare say. 65 days from now, I will be feasting on tomatoes. Perhaps. Actually, I will be happy if they make it through this week. Will report back. May 11, 2011 by Adele Chapin.